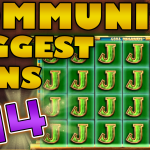 Today we bring the last “Community Biggest Slot Wins” for this month. The last week of March was unreal, in regards to the number and amount of big wins posted on the CasinoGrounds Forum. So vast was the number of wins! - that we have made a separate mini clip to include the wins that were not featured on today’s video. We will post the mini clip on our CasinoGrounds Facebook Page so keep an eye out for that as well. As always, the number of different slots is huge as it is the array of online casinos in which the grounders have won big. 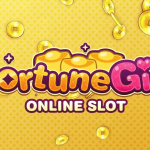 If you like any of the slots featured you can find them in our biggest online casinos list. It is difficult to choose where to start as the wins are all equally good. From high and low bets, to base game hits and free spin bonuses, it’s difficult to set apart one win because they are all amazing. We have winns of more than 1000x and 2000x on slots like Immortal Romance, Raging Rhino or Casino Zeppelin which you can find on MrGreen, Rizk and Cherry Casino. 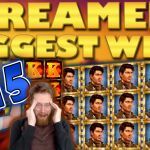 Moreover huge hits of over 3000x and 4000x on slots like Knight's Life and Dead or Alive accessible on LeoVegas, Casumo, RedBet and many others. There are also 4 clips as part of the video compilation. Each clip is an insane free spins bonus. Without wanting to spoil much, we suggests you focus on the Jurassic Park one. You can find information about all the slots, and try them, on our Slot RTP list. 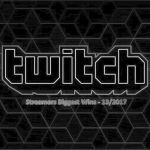 Our Compilation video covers wins posted between the 25th until the 31th of March 2017. If you have a big win that you’d like to be featured, don’t hesitate to make a post about it in CasinoGrounds Forum. The more spectacular or impressive the win is, the bigger the chance it has to be part of the next video. 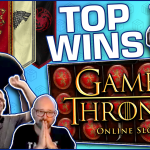 Did your win make it on today’s video?